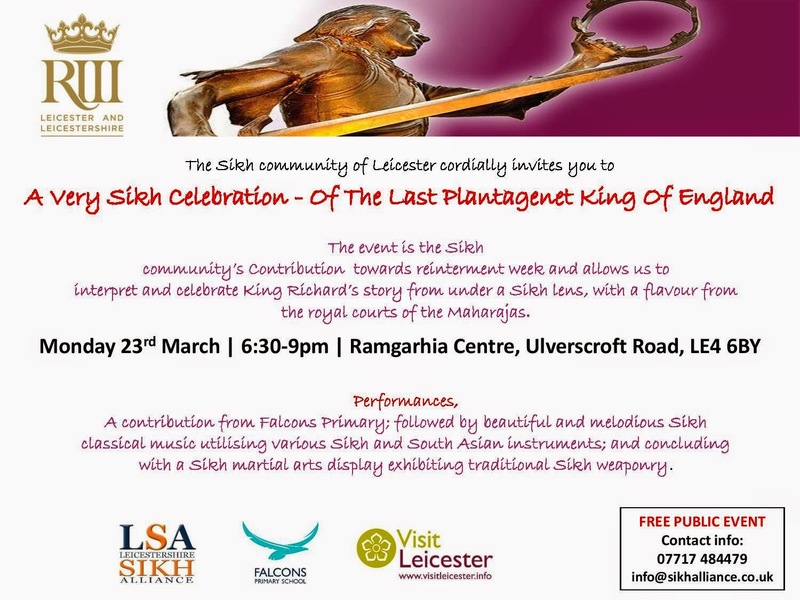 On Monday 23rd March 2015, from 6;30pm-8:30pm, at Ramgarhia Centre, the Sikh community of Leicester held an open event to mark the re-interment of King Richard III. The event was the Sikh community’s contribution towards re-interment week and King Richard Legacy Project. 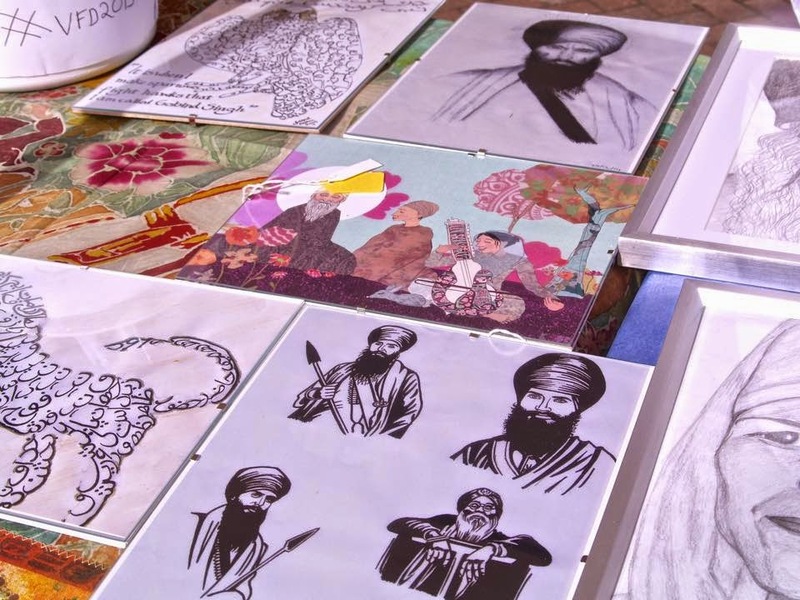 The event allowed the community to interpret and celebrate King Richard’s story from under a Sikh lens with a flavour from the royal courts of the Maharajas. 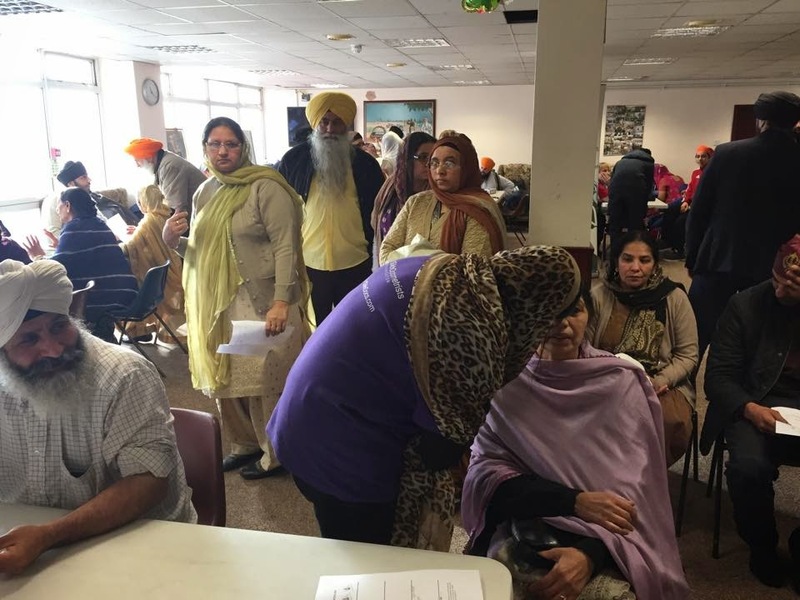 The event was a huge success with over 200 people in attendance. 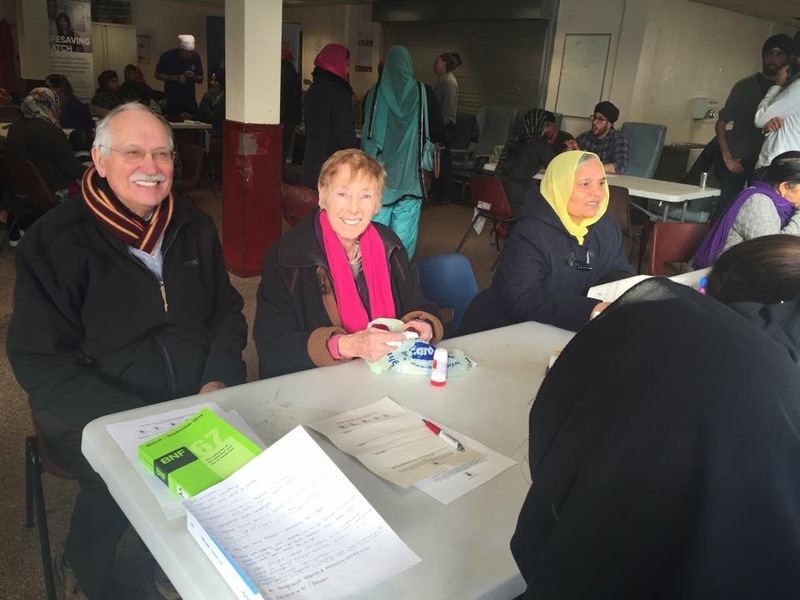 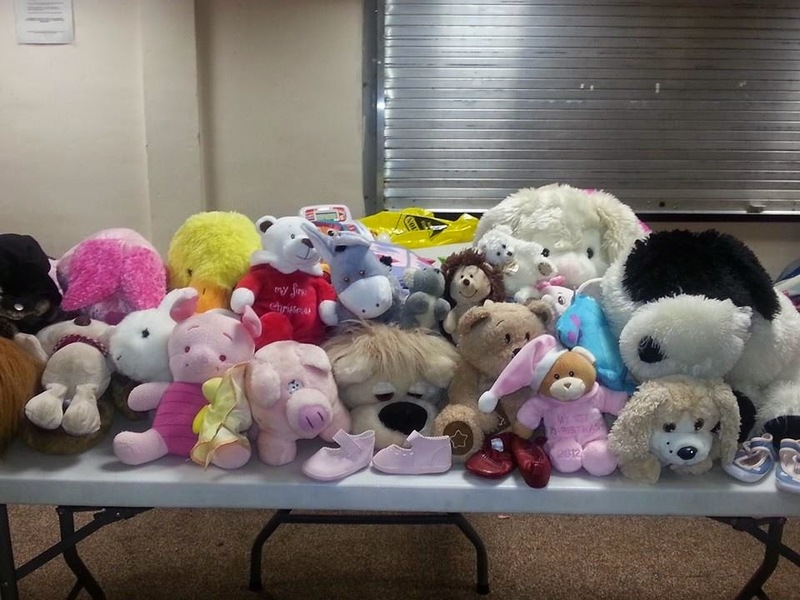 There were individuals from all communities and backgrounds, including various faith and community leaders; organisational representatives, charities and many more. 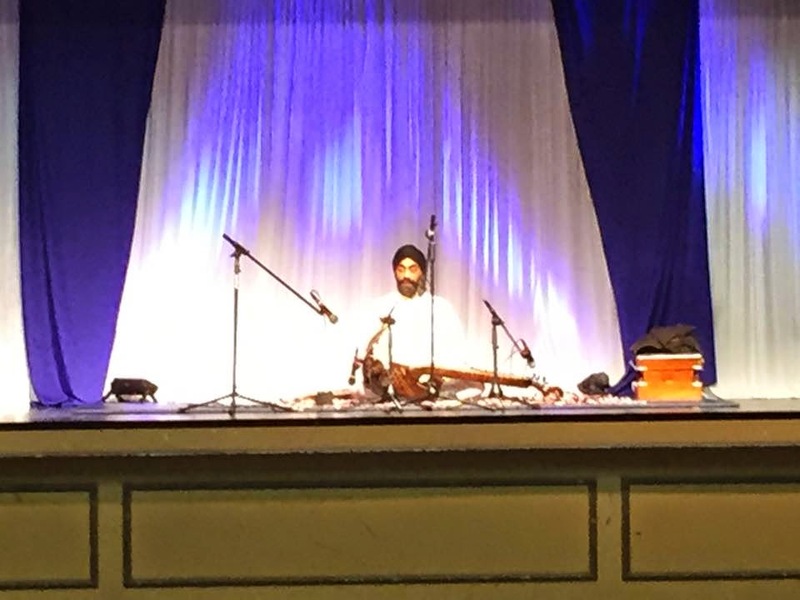 The event was a fun, mystical and exciting evening. 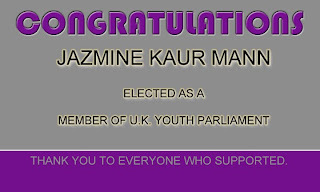 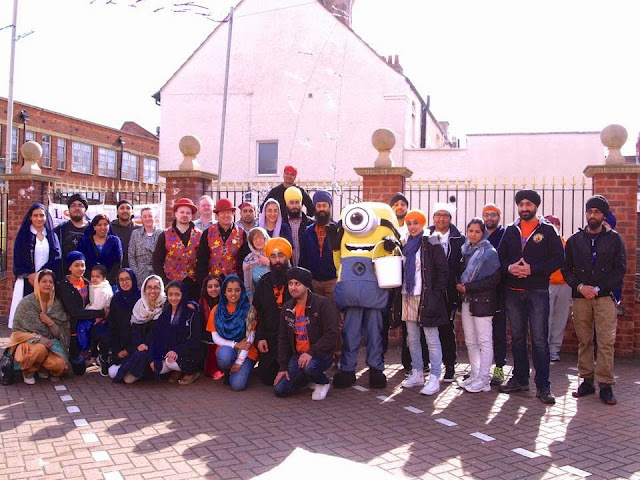 It included contributions from the Sikh school, Falcon’s Primary, where pupils detailed relevant Sikh history which ran in parallel to King Richard’s times; this was followed by beautiful and melodious Sikh classical music which utilised various Sikh and South Asian instruments; and concluded with a Sikh martial arts display exhibiting traditional Sikh weaponry, which was incredibly colourful, exciting and profoundly spiritual. 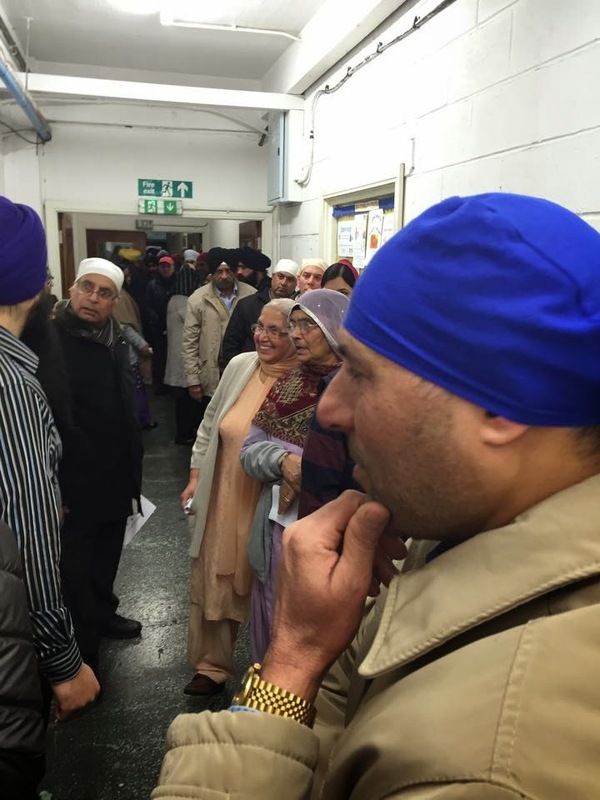 “The reinterment of King Richard III will be remembered as a uniquely profound moment in English history and it is royally befitting to mark this historic occasion with contributions from Leicester’s proudly diverse communities.” said Kartar Singh, Leicestershire Sikh Alliance. 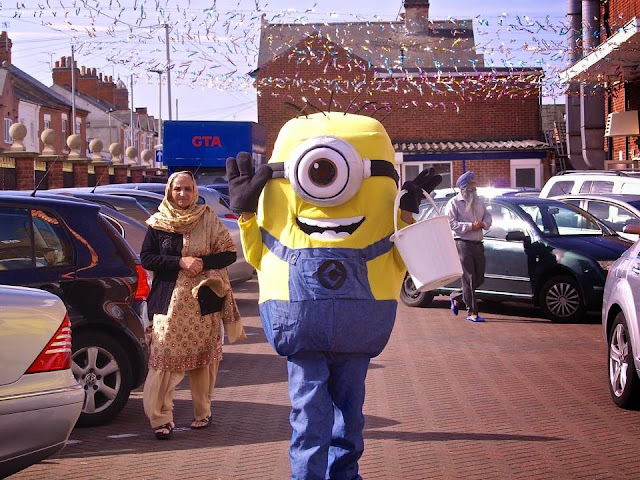 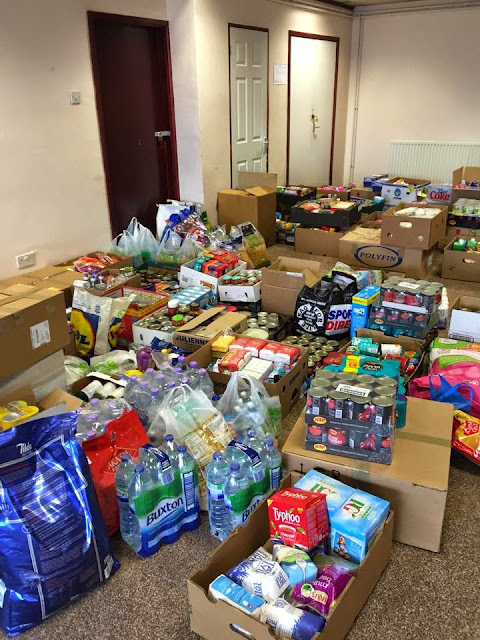 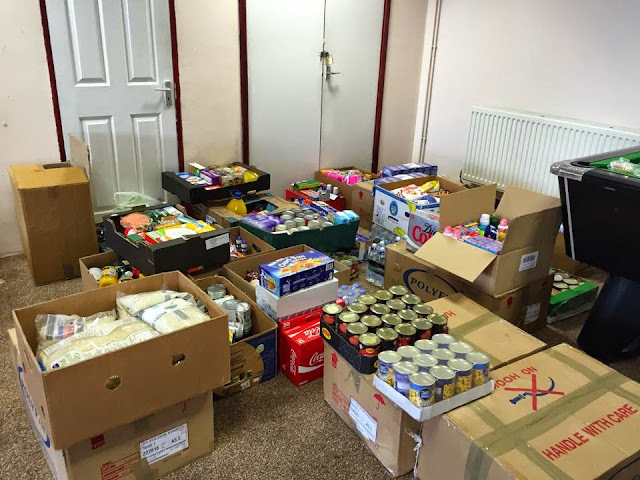 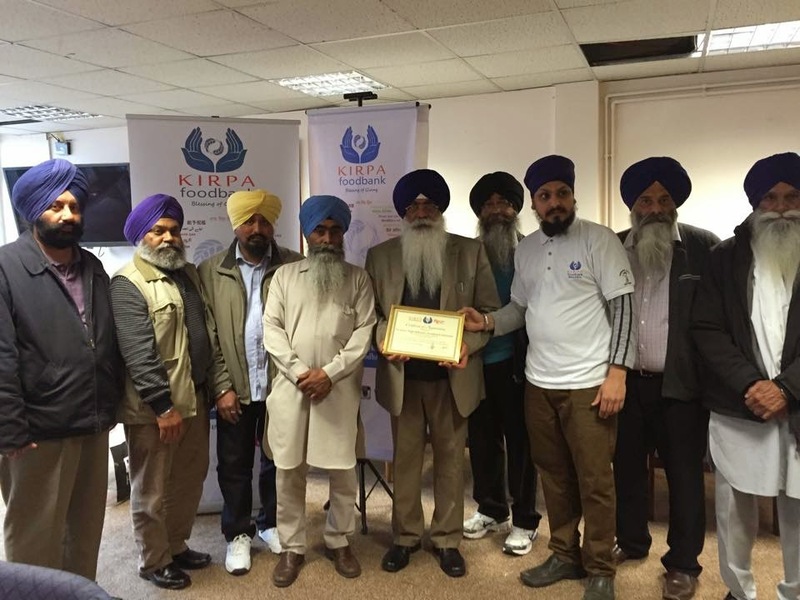 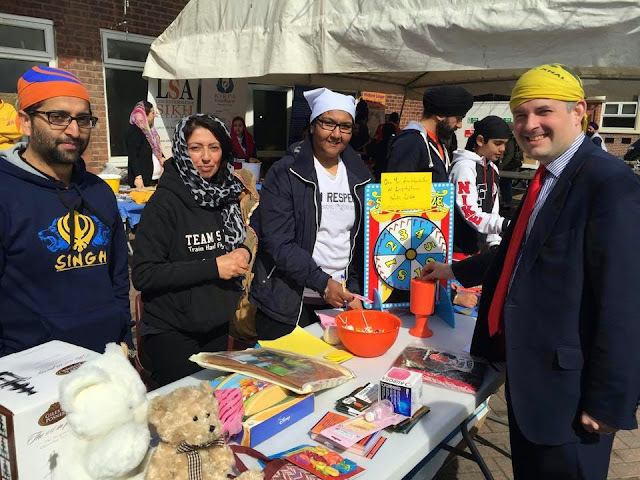 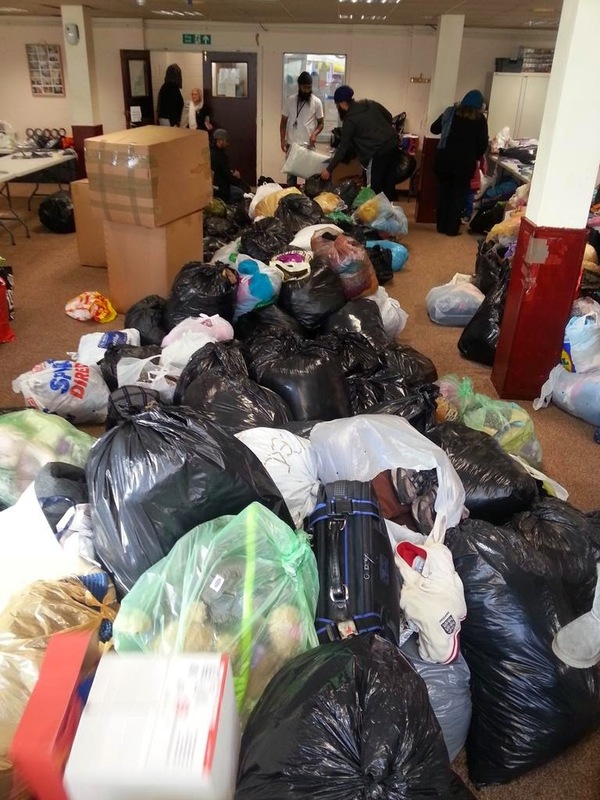 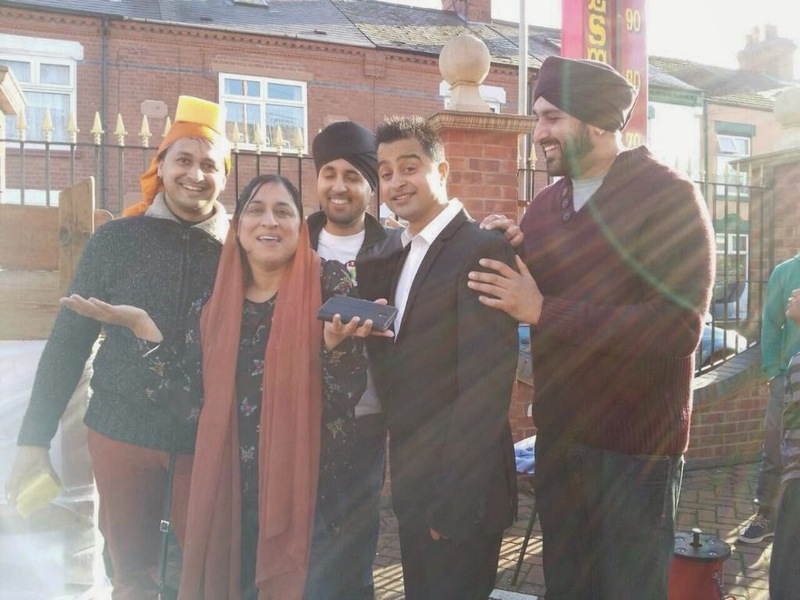 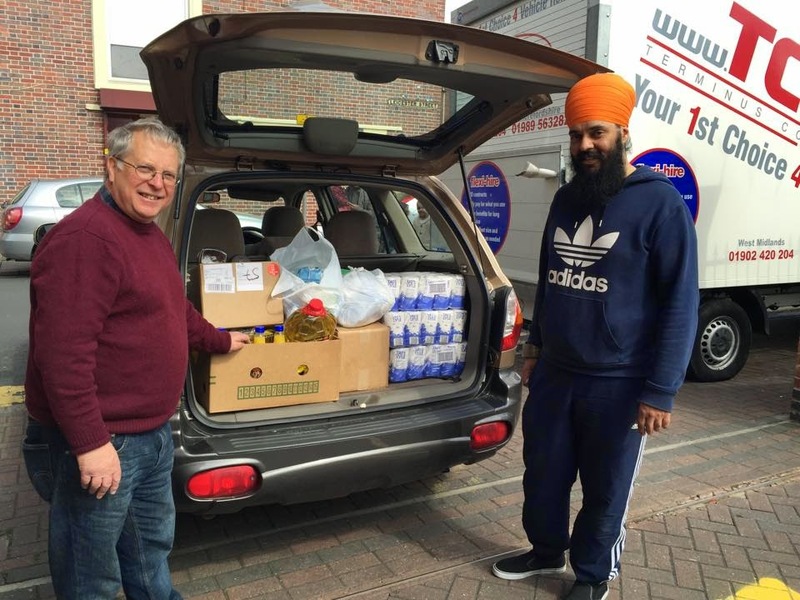 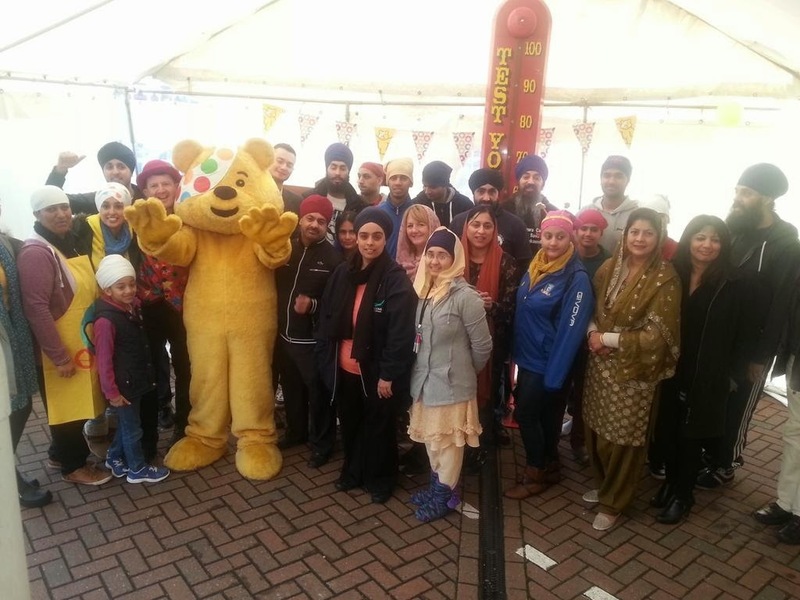 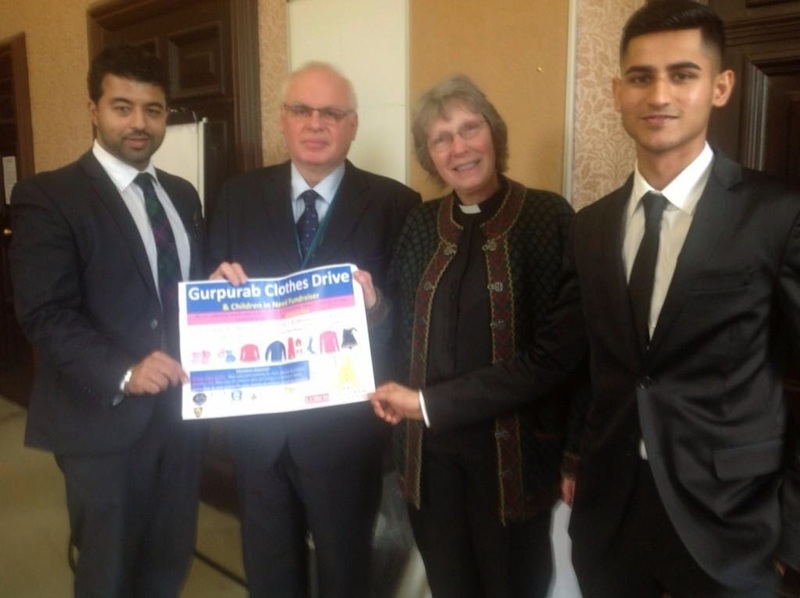 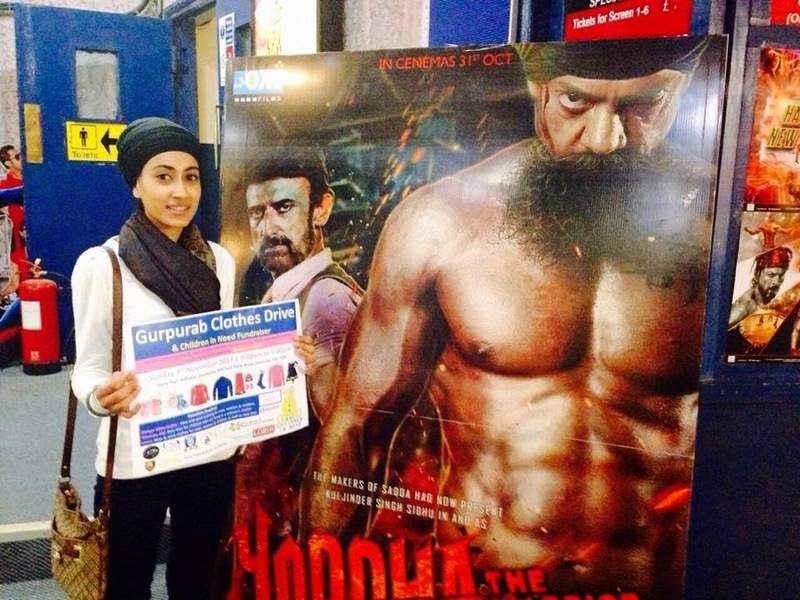 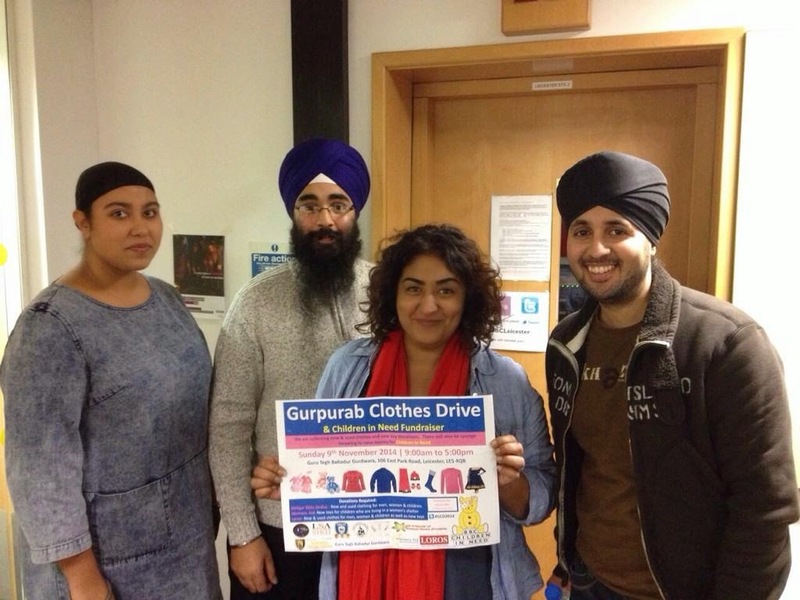 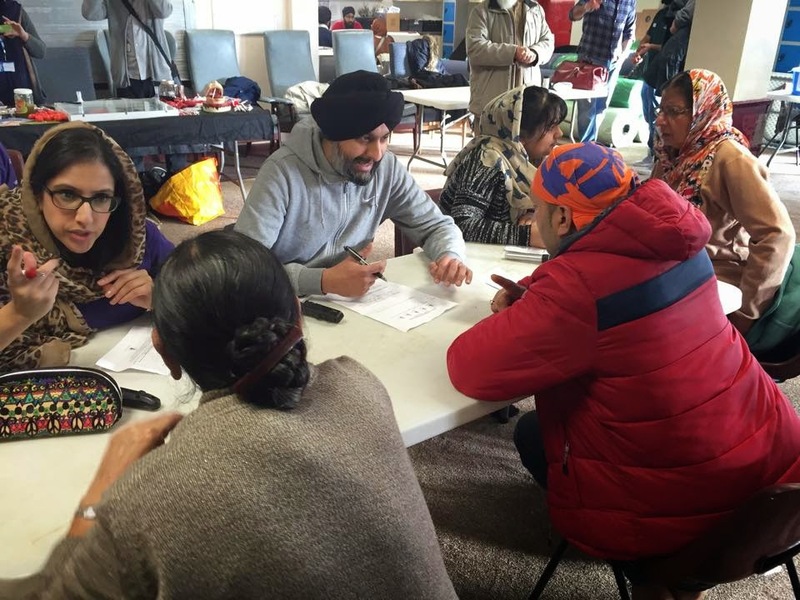 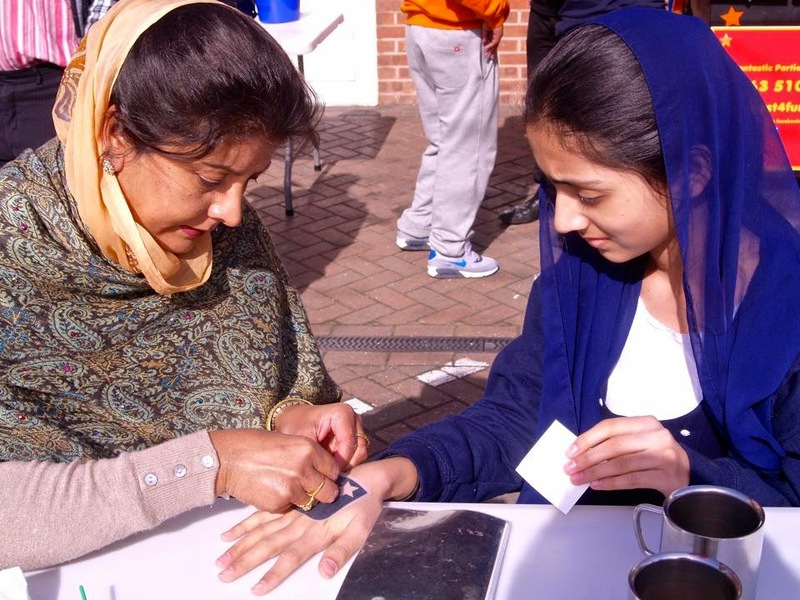 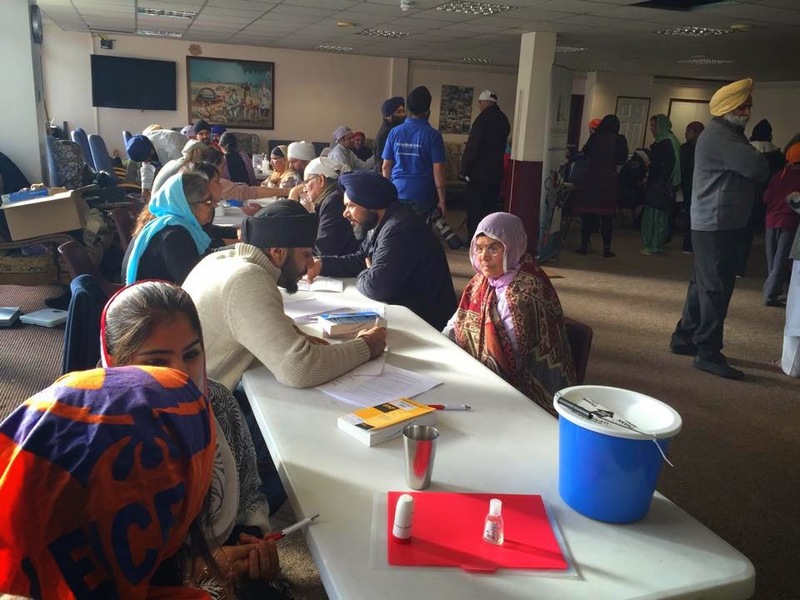 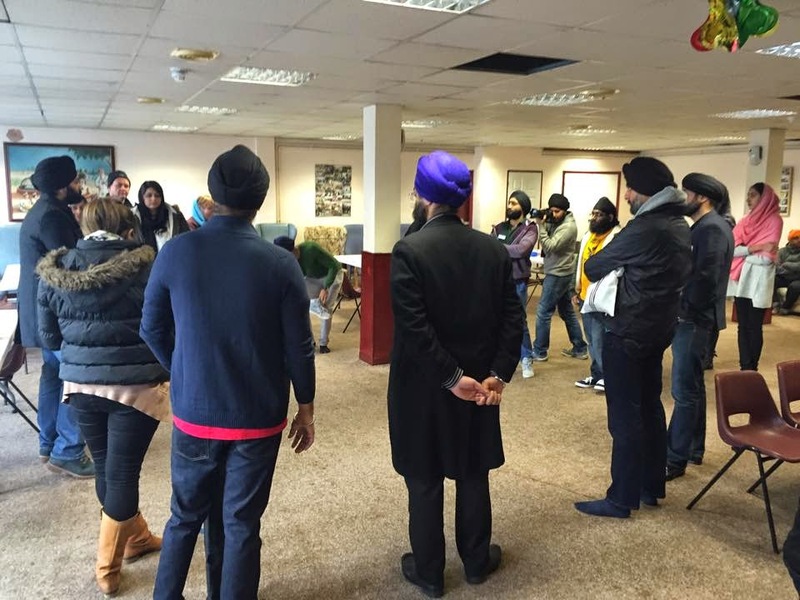 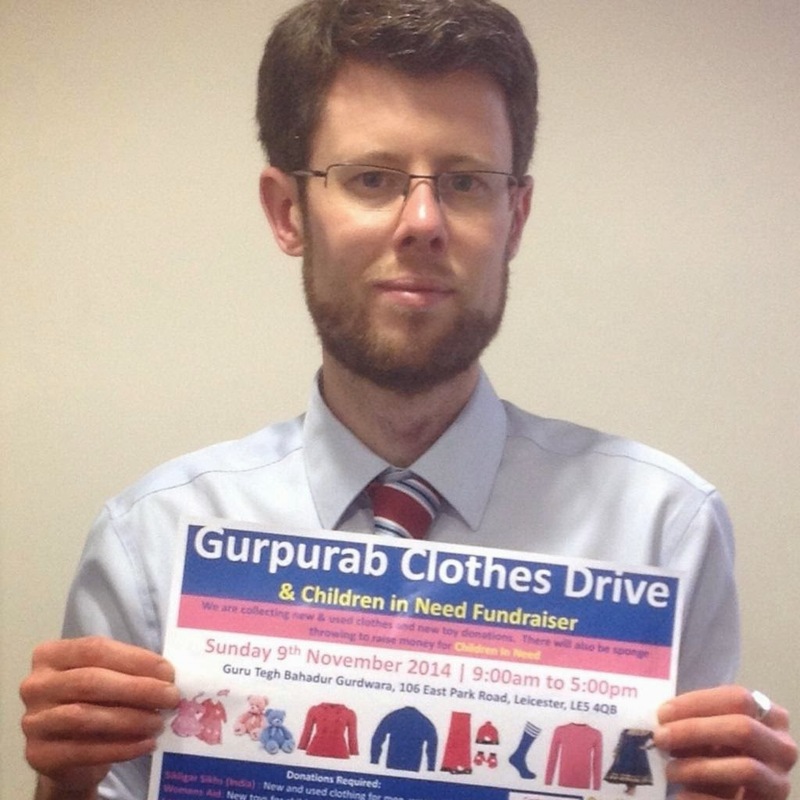 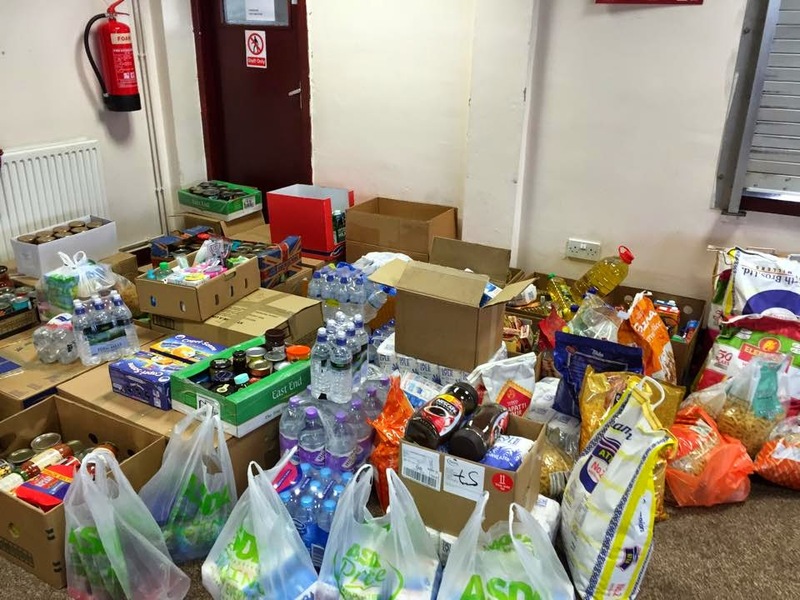 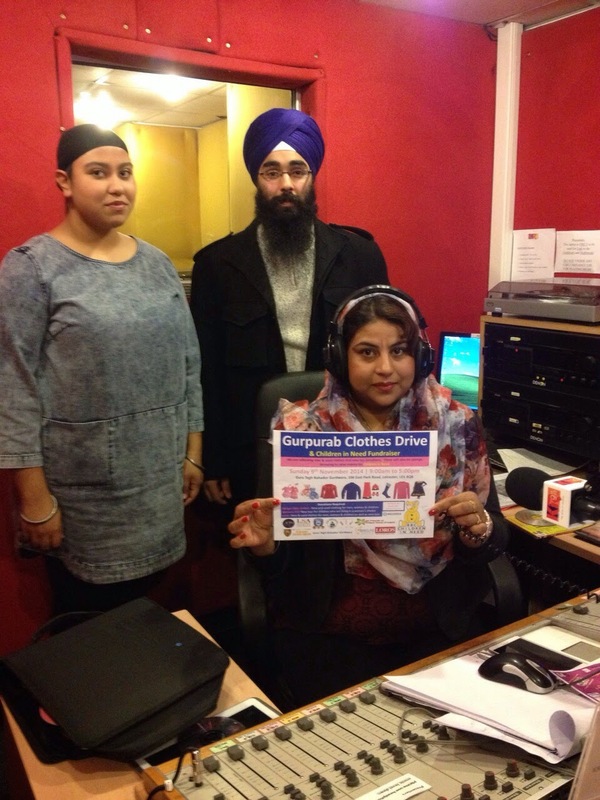 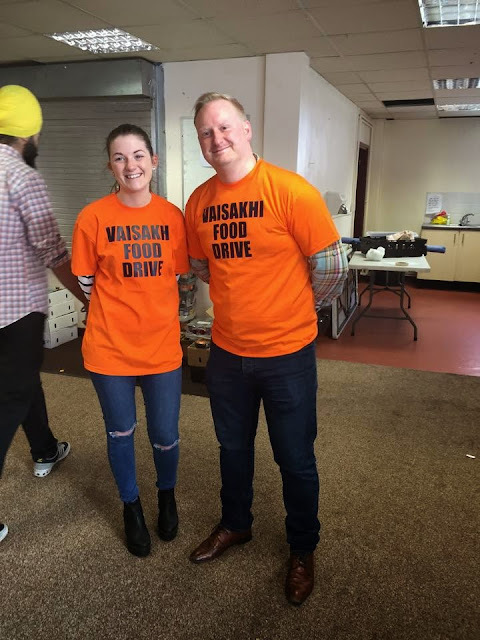 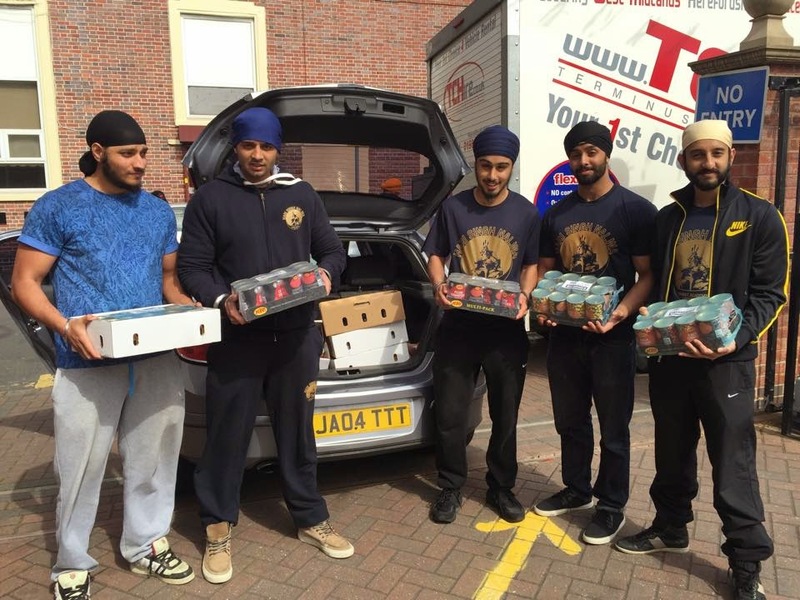 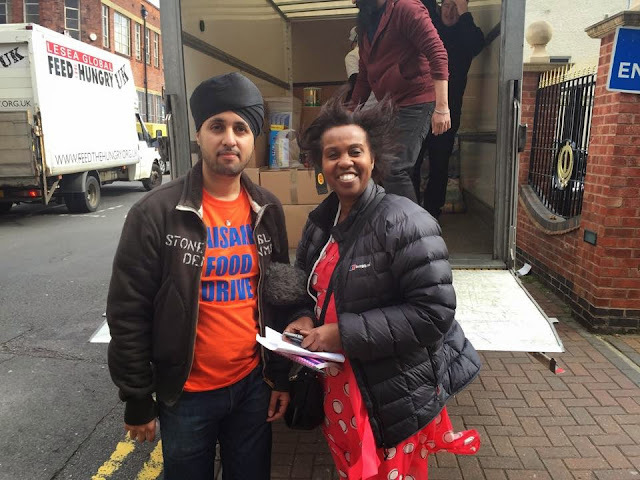 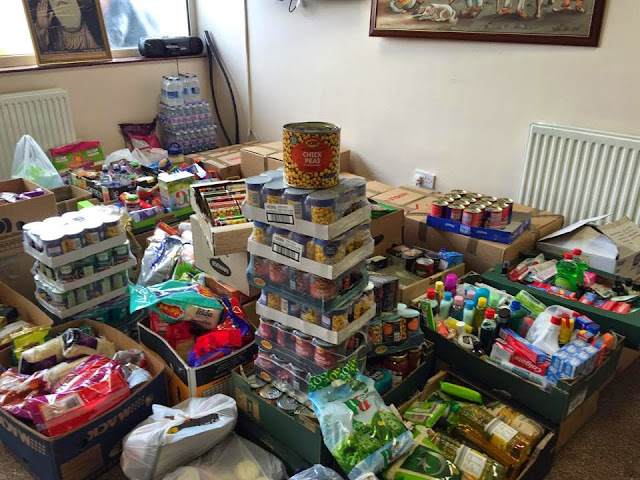 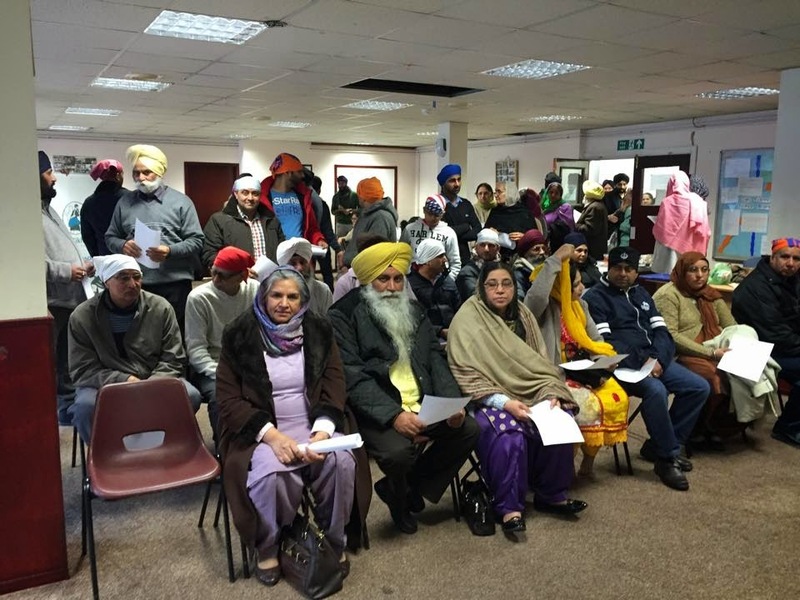 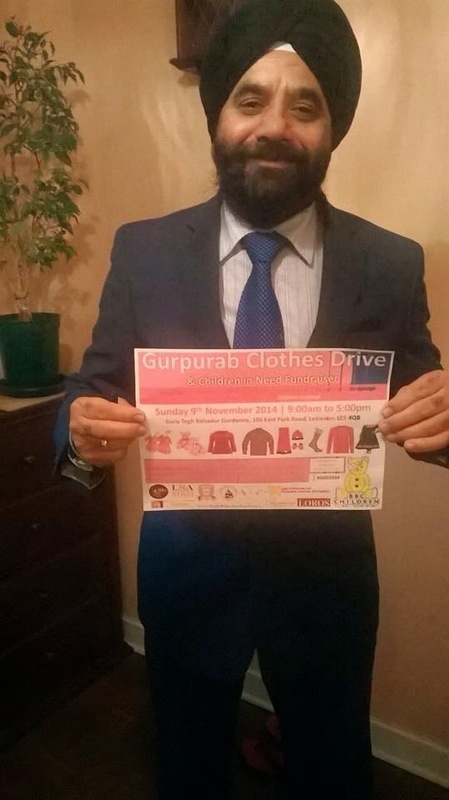 The Gurpurab Clothes Drive was once again held at Sri Guru Tegh Bahadur Gurdwara, Leicester. 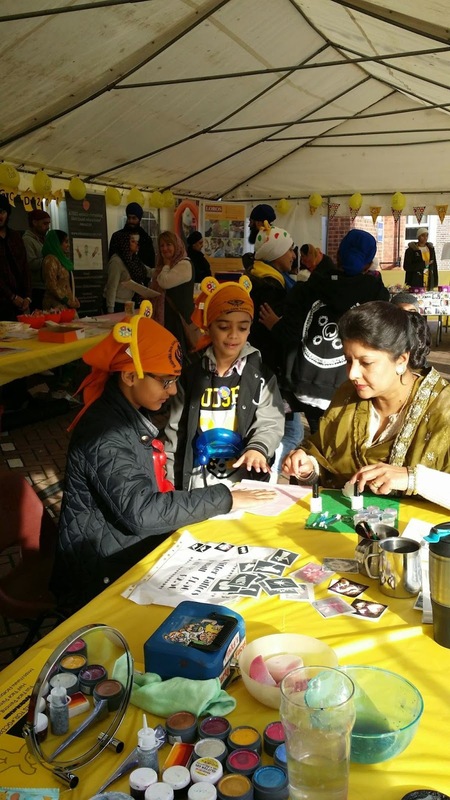 This years event was held on Sunday 9th November and was undertaken to commemorate the coming to this earth of Sri Guru Nanak Dev Ji, the first Sikh Guru. 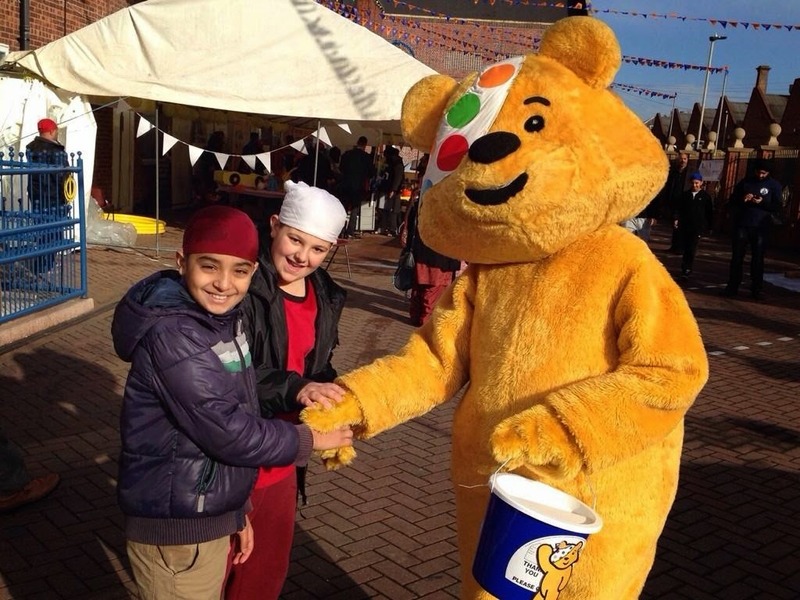 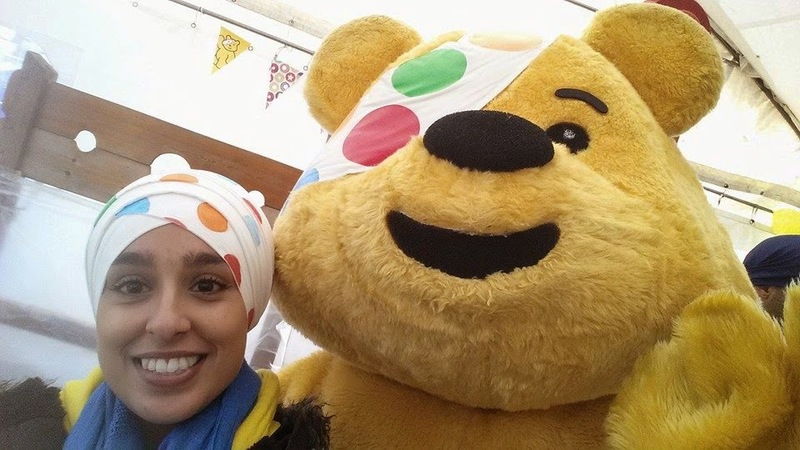 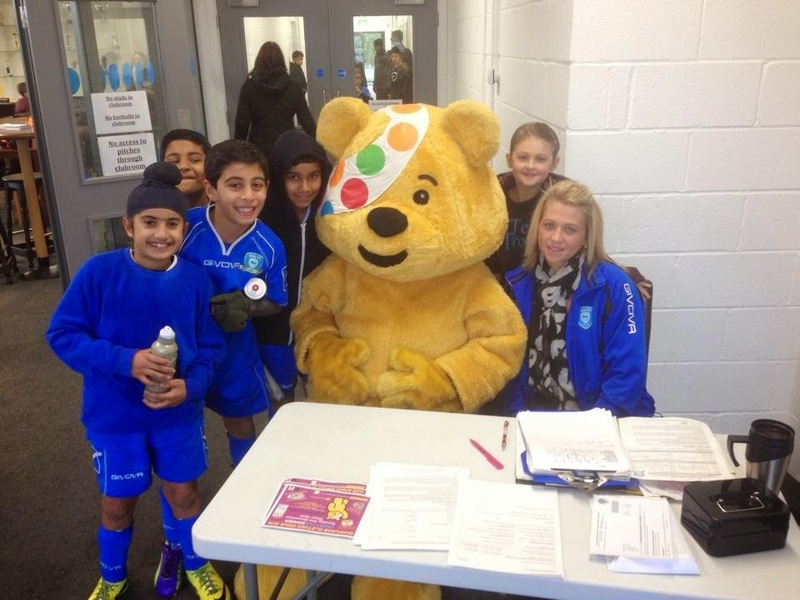 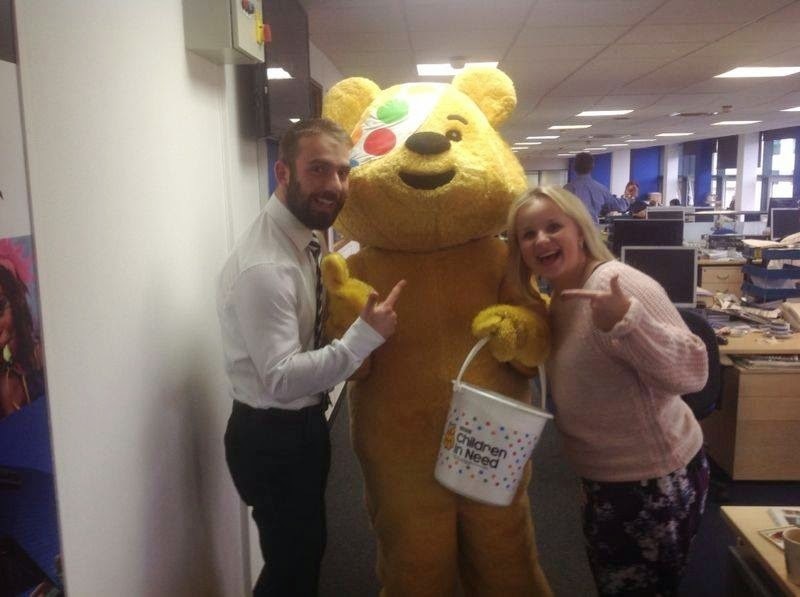 This year the community decided to go with the Pudsey theme and raise funds for Children In Need, with our star guest Pudsey Bear in attendance. 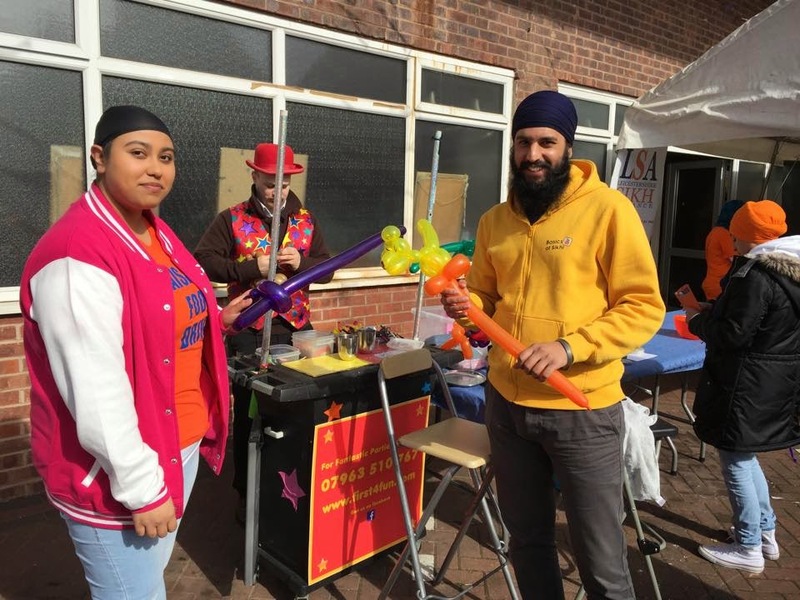 There were many stalls and activities taking place aimed at kids on the day. 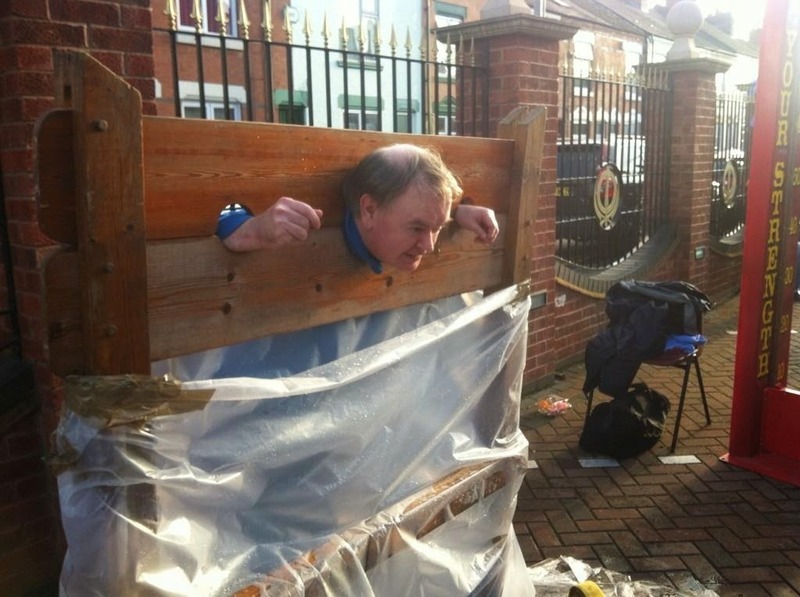 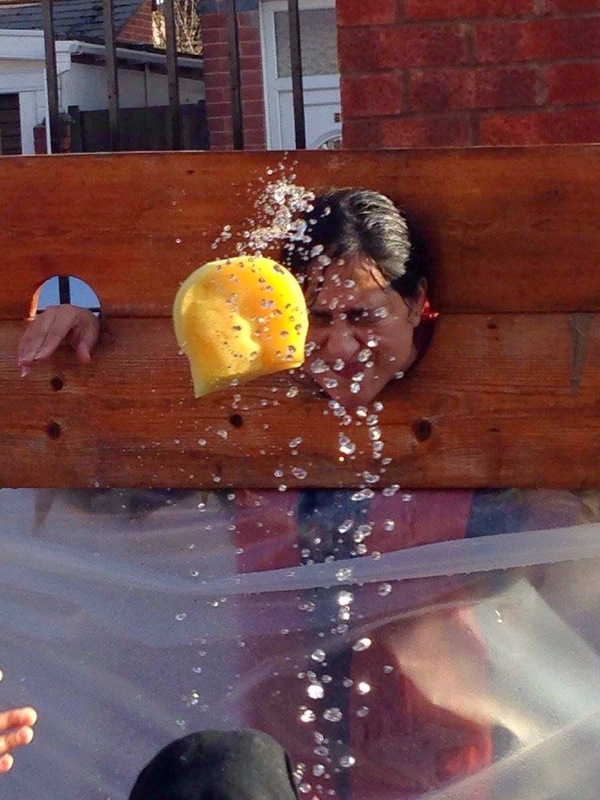 Furthermore, there was a medieval stock which was utilised for sponge throwing. 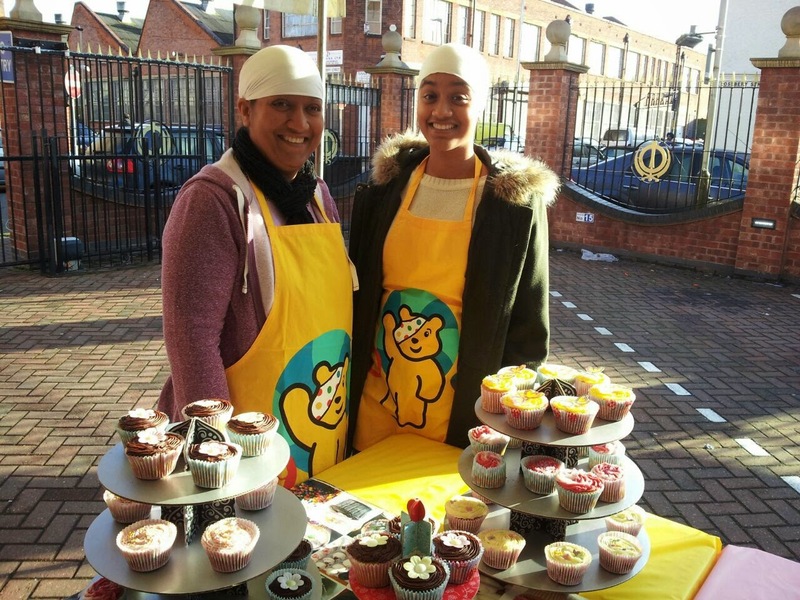 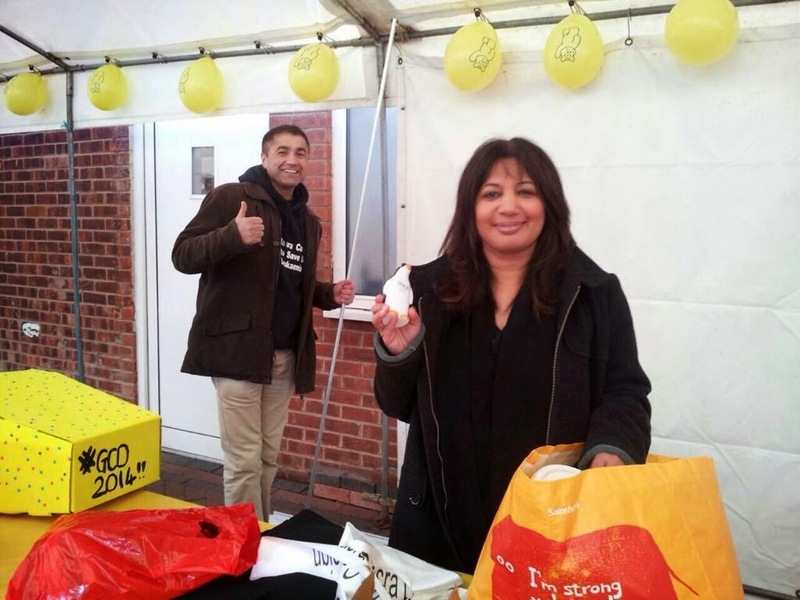 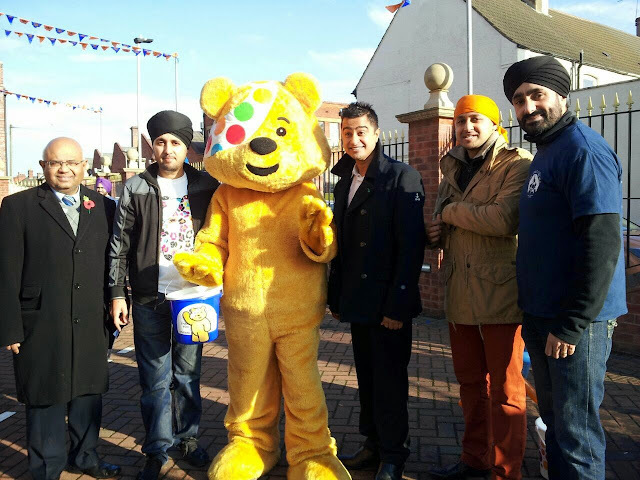 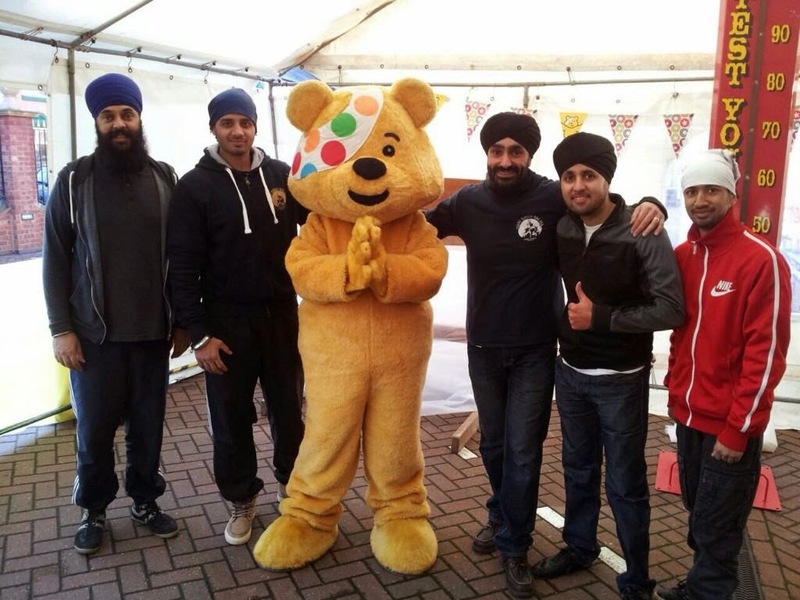 A big thanks needs to go out to all volunteers who were sponged in aid of Children In Need, in particular Cllr Deepak Bajaj, Cllr Ravendra Thakor and Craig from LeicesterVoice. 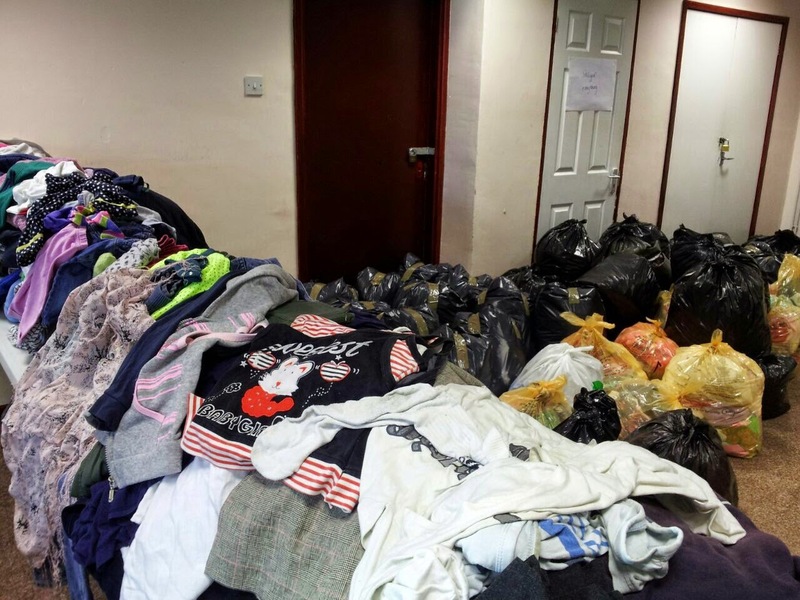 The event was a huge success and we managed to collect over 3,000 bags of clothes, with an estimated value of £75,000 (according to LOROS). 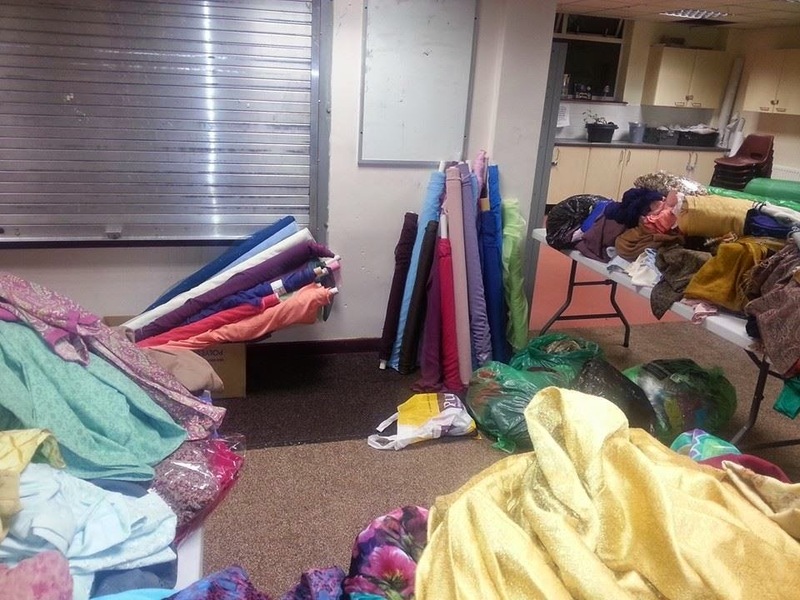 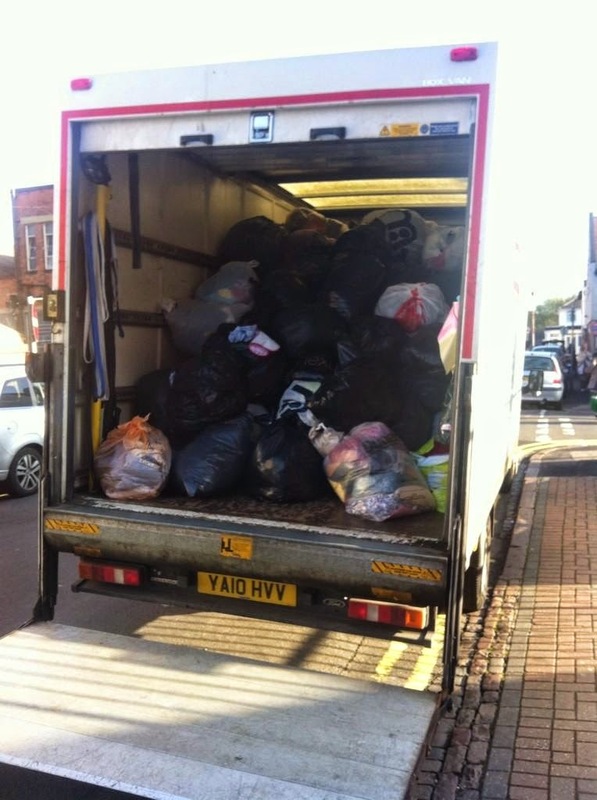 The clothes donations will be making their way to the Sikhligar/Vanjara community in India, LOROS Hospice, Womens Aid Leicester, Age UK and Unique Home for Girls for abandoned girls in India. 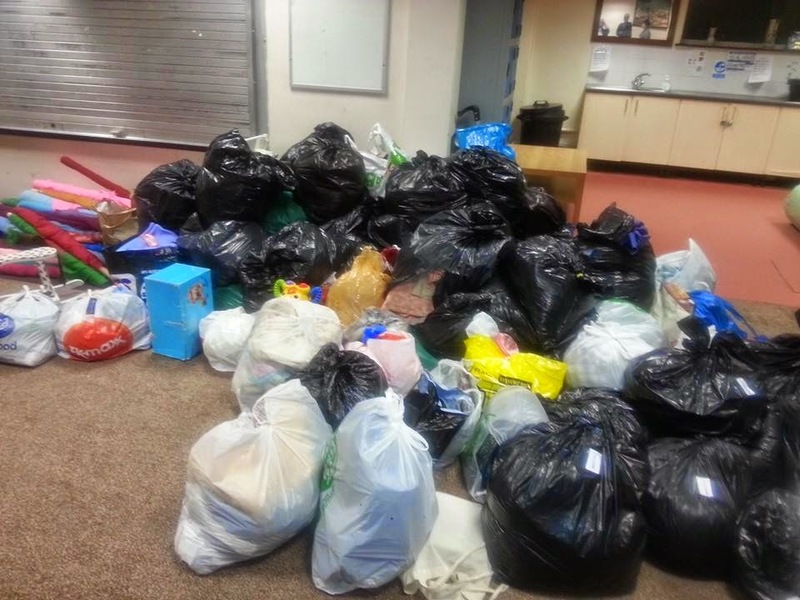 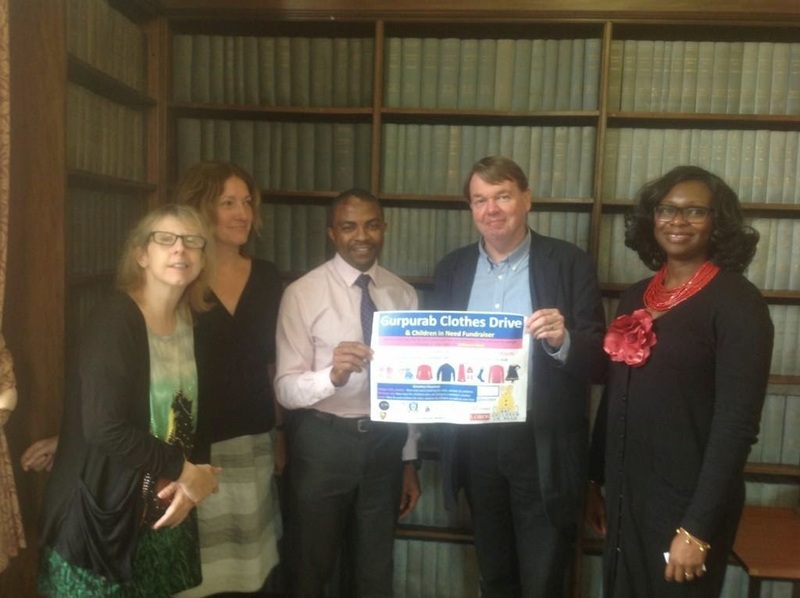 Furthermore, over £3,200 for various charities was collected. 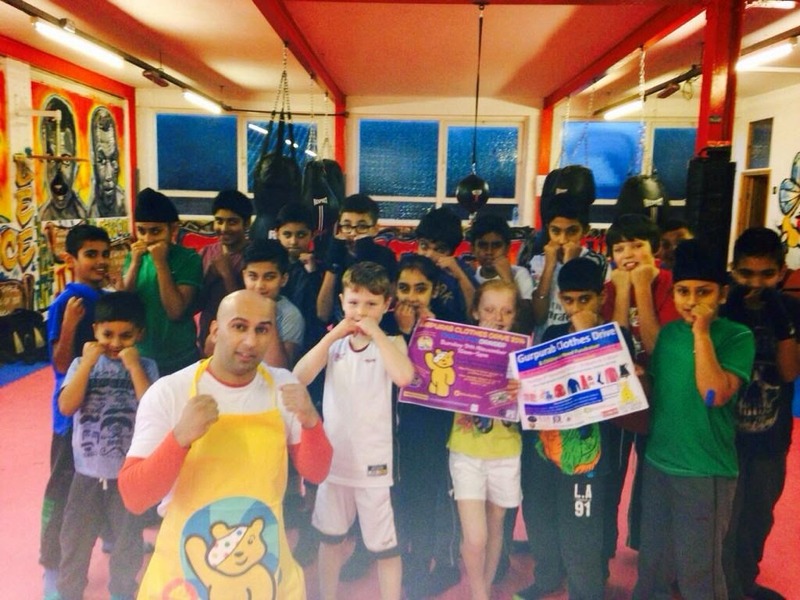 Monies will be going to Children In Need, Ensaaf, Sikh 2 Inspire & Falcons Primary. 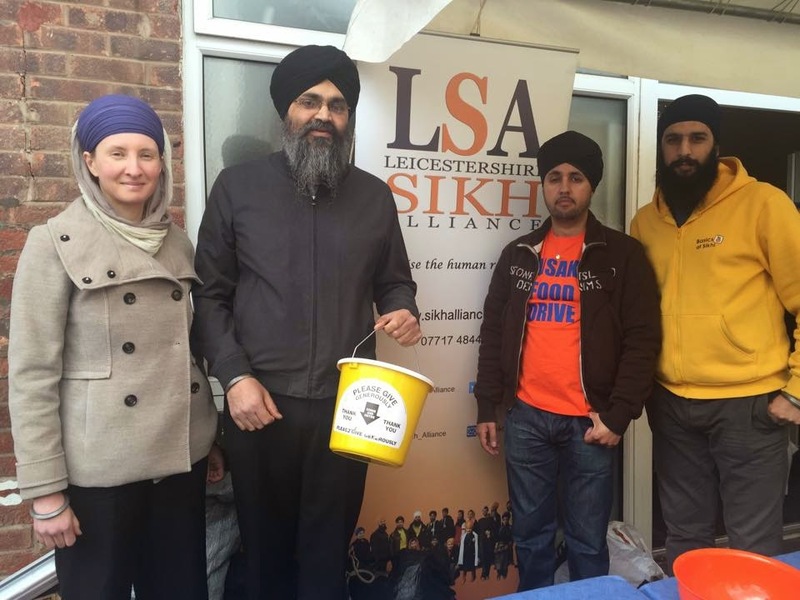 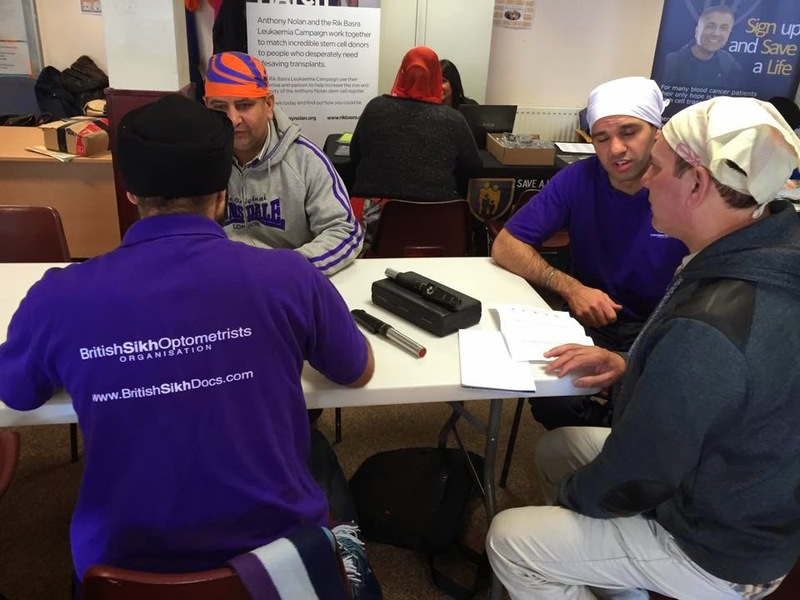 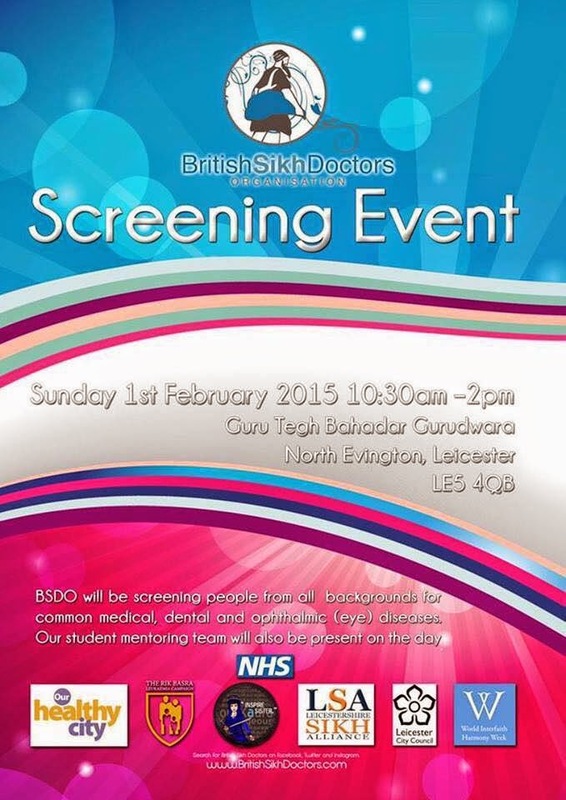 We would like to thank all the Sangat who attended, donated and purchased on the day. 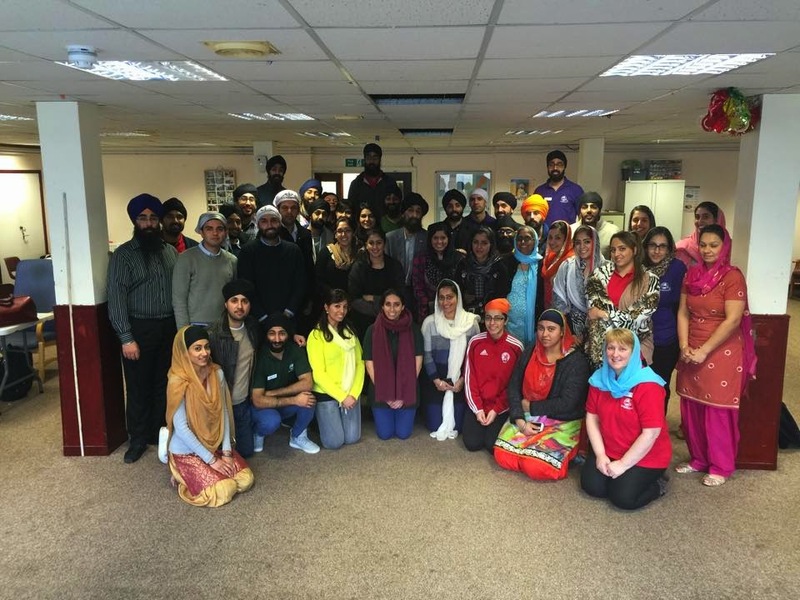 Also a big thanks you to all the guests, sewadars and groups who made the event possible. 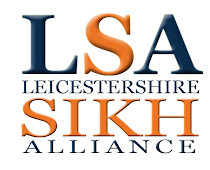 LSA, Leicester Kaurageos, Sikhi Resources, Hari Singh Nalwa Combat Academy, Castle Park Solicitors, GNG FC, Unique Home For Girls, LOROS, Pinks Party Faces, Avi Gliter Art & Major Thakar Photography. 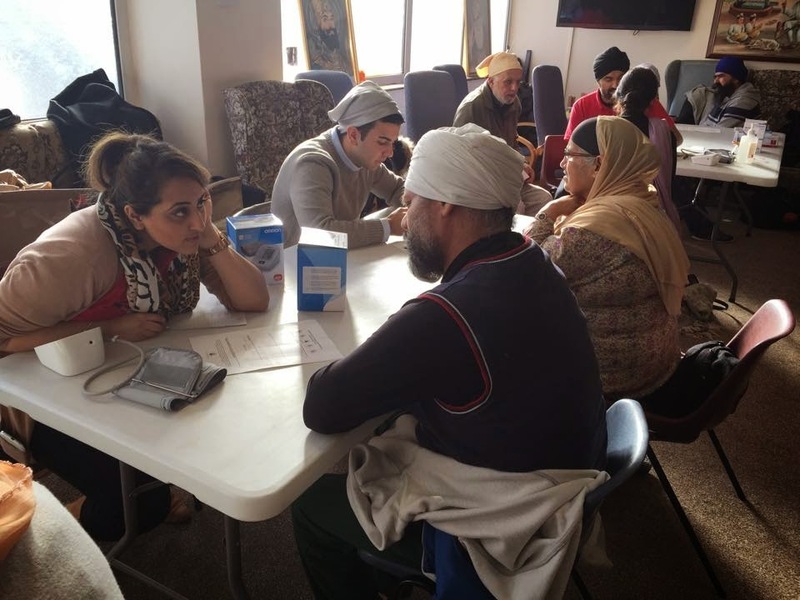 And also a special thanks to Guru Tegh Bahadur Gurdwara for hosting the event.